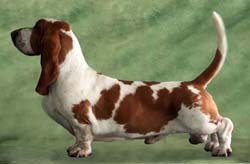 Pedigrees are available here for Topsfield Bassets. They are listed in birth order, youngest to oldest. Click on the photo to see the pedigree.